Israeli occupation forces, yesterday, announced that they confiscated children’s toys from the occupied West Bank city of Jenin. 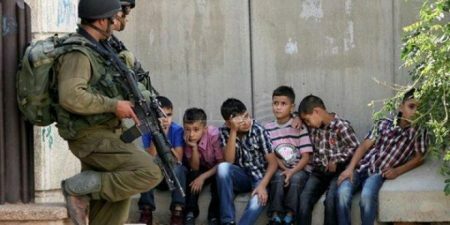 In a statement, the Israeli army said that its troops carried a campaign, the first of its kind, against air guns used by children fearing that they would be turned into “lethal weapons”. The commander of the Israeli Military Central Command issued a military order banning the possession of toys which are similar to real arms or which could be turned into real arms, the statement said. According to the PNN, the Israeli occupation army claimed that a number of attacks were carried out against its officers and posts using toys with double use. It added that, last year, it found 43 shops making arms and 450 different weapons. So far this year, it claims to have uncovered 25 weapons manufacturers and 215 weapons.